Unidirectional pressure infiltration of porous preforms by molten metals is investigated numerically. 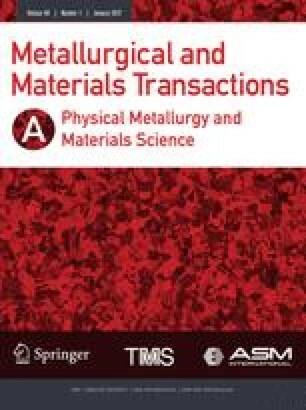 A phenomenological model to describe fluid flow and transport phenomena during infiltration of fibrous preforms by a metal is formulated. The model describes the dynamics of the infiltration process, the temperature distribution, and solid fraction distribution. The numerical results are compared against classical asymptotic analyses and experimental results. This comparison shows that end effects may become important and render asymptotic results unreliable for realistic samples. Fiber volume fraction and initial temperature appear as the factors most strongly influencing infiltration. Metal superheating affects not only the length of the two-phase zone but also the solid fraction distribution in the two-phase zone. The effect of constant applied pressure, although significant on the infiltration velocity, is almost negligible on the two-phase zone length and on solid fraction distribution. When the initial preform temperature is below the metal melting point, and constant pressure is applied under adiabatic conditions, the flow ceases when sufficient solidification occurs to obstruct it. A comparison with literature experiments proves the model to be an efficient predictive tool in the analysis of infiltration processes for different preform/melt systems.